Are the people really sharing in the country’s wealth? The ANC believes it is well on its way to fulfilling promises made in the Freedom Charter, but Numsa tells a different story. • South Africa is a much better and different place today than it was before 1994. The overwhelming majority of our people live in conditions that are vastly different from what they were, even 10 years ago. • More people have access to housing, better and more equal access to basic services, more households have electricity, there have been enormous advances in healthcare and education and economic opportunities have been opened to the people. • The ANC has been at the forefront of creating the possibilities for the much bigger middle class we have today. We will make sure that the middle class, particularly the black middle class, continues to grow. • The vast mineral wealth of our country, which lies beneath the soil, has been transferred to the ownership of the state on behalf of the people as per the provisions of the Freedom Charter. However, this has not yet translated to equal and full benefit of all South Africans. • The ANC commits itself to continue working with South Africa’s people to ensure that there is enhanced benefit from this ownership. • This year, the party must finalist the amendments to the applicable laws to ensure that mineworkers and mining communities share, much more equitably, in South Africa’s mineral wealth. • Banking has become much more accessible to the majority of South Africans, but the excessive bank charges and fees mean that many people still cannot afford bank services. • The ANC government is moving ahead with efforts to establish a bank directly linked to and administered by the Post Office (Postbank). • There is more electricity in more households, since 1994, than in all the years under the colonial and apartheid regimes. Our economy has also grown and many new businesses are operating in this country. As a consequence, this growth is placing more strain on the electricity grid than at any other time in our history. • In 1995, the Gini coefficient, which measures income inequality, stood at 0.64 but it increased to 0.68 by 2008. • The share of national income was 56% in 1995 but it declined to 51% in 2009. In other words, there has been reverse redistribution from the poor to the rich. • About 20% of South Africans earned less than R800 a month in 2002 and the situation was worse for Africans. By 2007, about 71% of African female-headed households earned less than R800 a month. • In the 2010 budget speech, the minister of finance noted that in South Africa “income inequality is among the highest in the world; and half of our population survives on 8% of national income”. • The children of the poor remain trapped in inferior education with wholly inadequate infrastructure. Indeed, 70% of matrix exam passes are accounted for by just 11% of schools – former white, colored, and Indian schools. • Among Africans, 55% live in dwellings with less than three rooms and 21% live in one-room homes, whereas at least 50% of white families live in houses with no less than four rooms. • The life expectancy of South Africans was the highest in 1992, at 62 years. Life expectancy fell to 50 years in 2006. 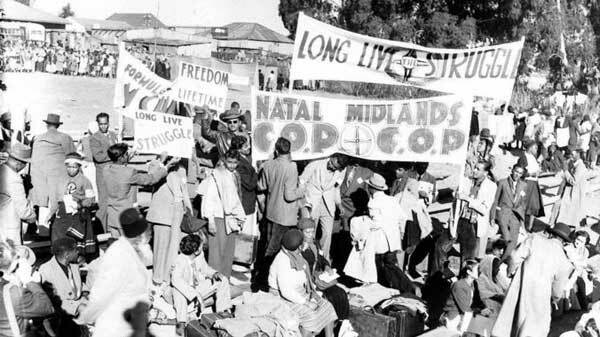 • The life expectancy of a white South African now stands at 71 years and that of a black South African at 48 years. Whites therefore expect to live 23 years longer than blacks. This is due to inequality of access to quality health services. • The financial sector is dominated by four large privately-owned banks (Absa, Nedbank, FNB and Standard Bank). Absa is 56% foreign-owned, Standard Bank is at least 40% foreign-owned. The Reserve Bank is privately owned and has foreign ownership. • Sasol is about 30% foreign-owned and ArcelorMittal is 65% ­foreign owned. • The pharmaceuticals sector is dominated by foreign-owned Aspen, Adcock Ingram, Sanofi, Pfizer, Norvatis, and others. • Telecommunications: The Thintana Telkom deal in 1997, which led to massive job cuts in Telkom – from 67?000 to 25?000 – has left the country poorer and in a worse socioeconomic position. • The construction sector is also monopolized, dominated by four players: Murray & Roberts, WBHO, Aveng and Group 5, all with foreign ownership. • The cement sector is dominated by four players (PPC, Alpha, Lafarge and Natal Portland). • The forestry sector is monopolized by two major players, Sappi and Mondi with the state, through Safcol, playing a minor role. • Machinery and equipment is a diverse sector. The major equipment players are Caterpillar, John Deere/Bell, Komatsu, Manitou SA and ThyssenKrupp – all foreign. • Mining is a monopolized sector too, in all its varied aspects because of the various minerals under it. • Iron ore, so crucial to steel production, is dominated by Kumba Iron Ore, which is majority foreign-owned. • Manganese production is dominated by Samancor, which is a joint venture of foreign-owned mining houses. • Samancor Chrome dominates chrome production and a is majority foreign-owned entity. • Vanadium production is controlled by Vanchem which is also foreign owned. • Coal production is controlled by foreign companies. • In short all minerals in South Africa are majority foreign-owned and controlled. All other industry and trade shall be controlled to assist the well being of the people. • The manufacturing sector declined from 20% of national production in 1995 to 15% to in 2010. This is evidence of industrialization. • Between 1995 and 2008, the manufacturing sector lost 350?000 jobs and an additional 271?000 jobs were lost between 2009 and 2012. The policies of the past 19 years have thus failed to promote labor-intensive industrialization. • The total trade deficit was R9.5-billion in January 2013. • Television, radio and communication equipment showed a 431% deficit; radio, television, clocks and watches a 397% deficit; and machinery and equipment a deficit of 120%.